I heard about Massimo's Pizza Club in January when they opened, and on Saturday we finally had the chance to visit for dinner with two of our friends. From the name I expected that the restaurant would be run by an Italian family, and as it turns out I was at least half right! And you do know that there's no better pizza than pizza made by a real Italian, right? As you may already know, I'm in the IT field, so it was cool to hear that Massimo, the owner, spent many years as a mainframe programmer and software support specialist in Italy. He then spent a few years working in London (where I think he met his wife, Tracy), which led him to realise that IT wasn't the way he wanted to spend his life. So now Massimo and Tracy live in beautiful Hout Bay, and run Massimo's Pizza Club at night! Posted in Activities and tagged restaurant on Monday, 30 November, 2009 by Paul. Wow.. that’s a fantastic shot. Now I want pizza. The flaming sugar cube is pretty awesome as well. 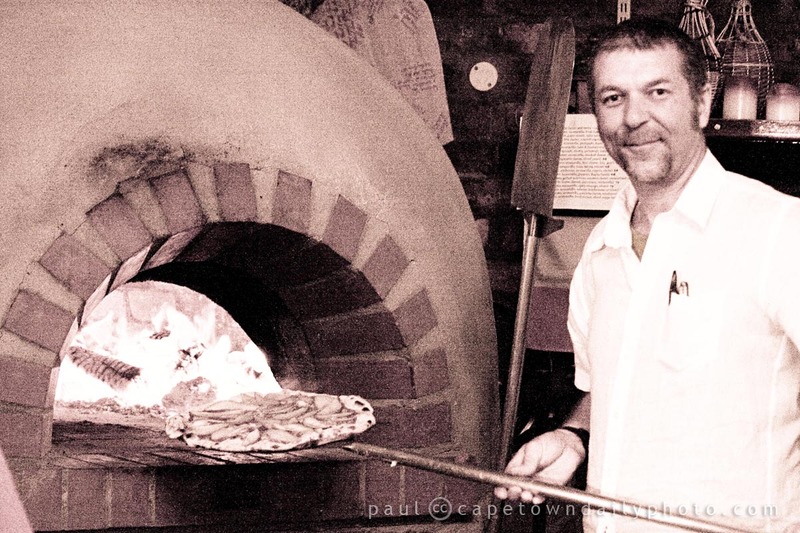 There is nothing like real pizza made in a traditional fired pizza oven. Yup – agreed. I noticed from the info on their site that some of the ingredients are even imported from Italy. Awesome stuff! Just a reminder to all our loyal clients that we will be moving location soon. Our last day of trading at our current location (Scarecrows) is Saturday 29 May. We will soon announce our new site, to open in Spring.